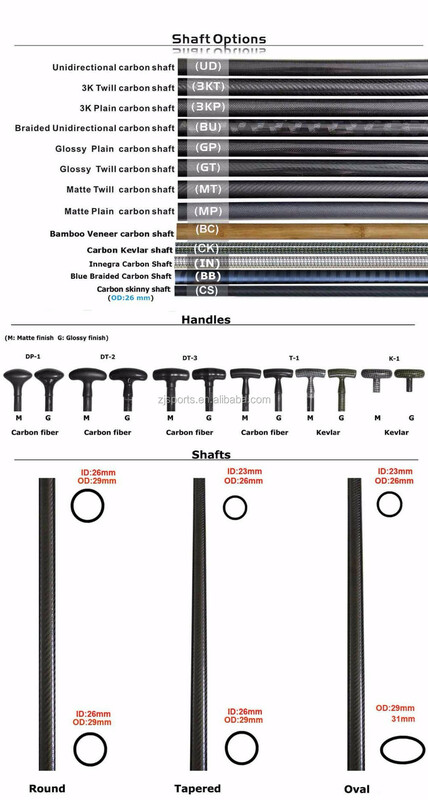 1), Is it possible to put my logo design on the paddle blade and shaft pls ? ZJ: YES, Paddle with logo is possible if over 25 pcs, pls kindly send us the logo design file in AI format (Vector diagram), thanks. 2), What’s the difference between ZJ Paddles and other factory’ s paddles ? 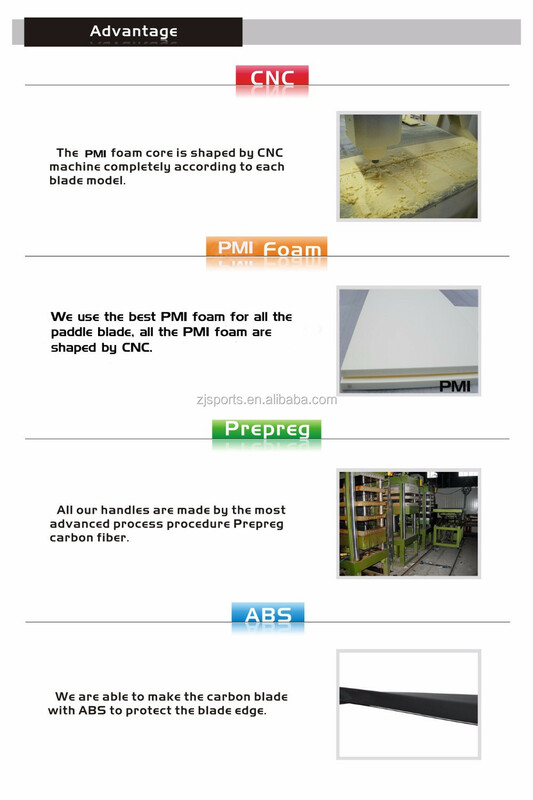 ZJ: The core foam for ZJ paddle blade is the PMI foam(used for making the aircraft), shaped by CNC, while most other factories are using PU material and shaped by hand. stability than the PU foam Blade. 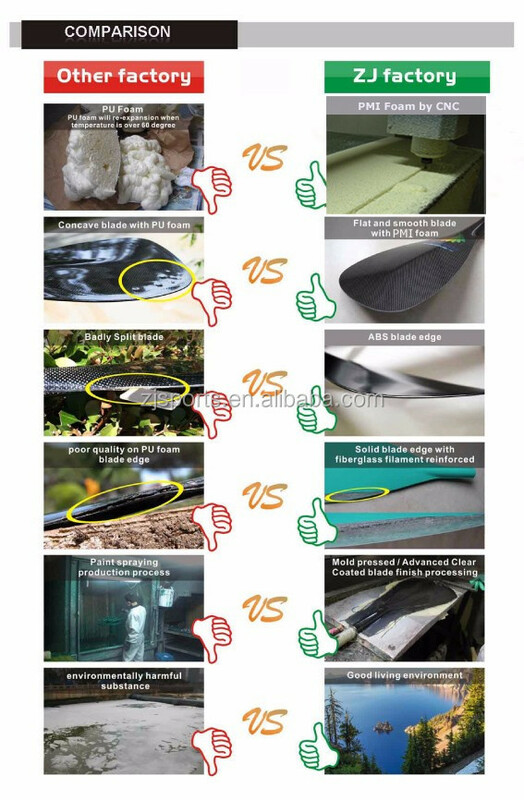 And ZJ Paddle blade seldomly have the split blade edge. 3), What is the warranty policy for the sup paddles pls ? 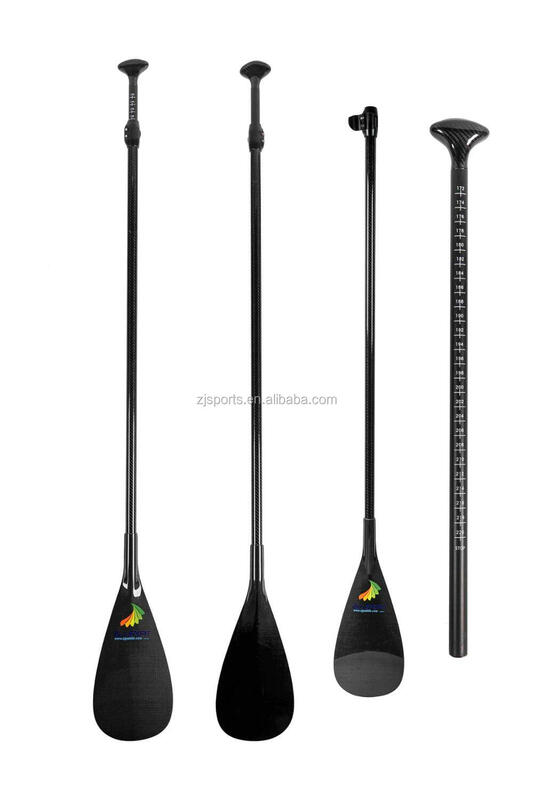 4), Could I order just 1 pc sup paddle as sample pls ? ZJ: the MOQ is 5 pcs. 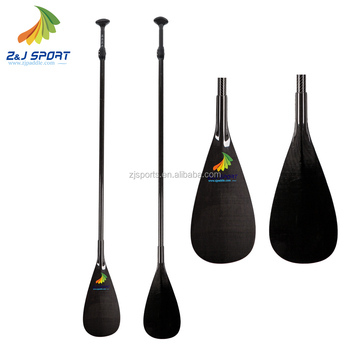 as the fixed length sup paddle is overlength, so the shipping cost is quite expensive, and 1 single paddle will be easily break during shippment. so we sincerely suggest order 3-piece adjustable paddle as sample to save the shipping cost. 5), What about the lead time for mass production? ZJ: It depends on the order quantity and blade model. Normally we could finish 450 pcs paddles (without logo) within 2 weeks after deposit, it will be quicker if we have the blades you order in stock. paddle with customized logo will take longer time. 1), we offer several different blade model options, for racing, waving.etc. 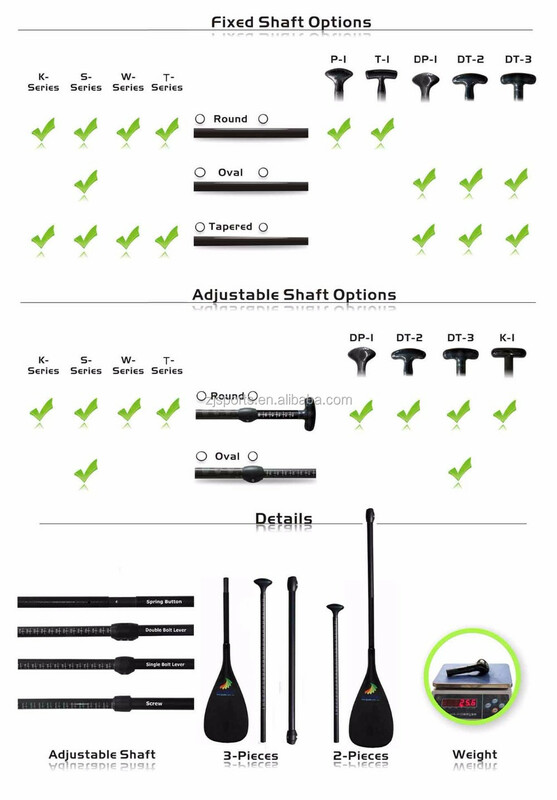 2), Round Shaft, Oval shaft and Tapered shaft are all available. Contact us if you need futher information about the Stand Up Paddle.